For the second year in a row, Forbes has named Johnny Depp its Most Overpaid Actor. The rankings were determined by looking at the last three films each actor starred in before June 2016; animated films, movies where the actor appeared in an insignificant role, and movies that were released on fewer than 2,000 screens were excluded from the calculations. 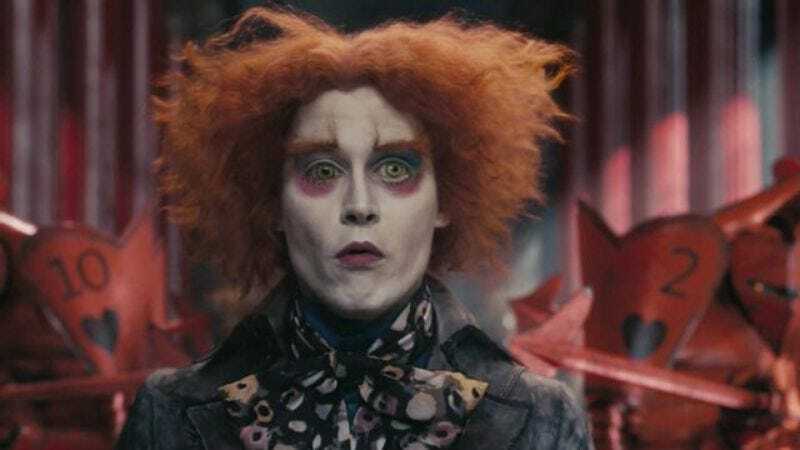 Depp’s three most recent movies, including the major flop Alice Through The Looking Glass, only returned $2.80 for every $1 he was paid. Domestic abuse charges from his ex-wife Amber Heard didn’t really seem to affect his career, as tends to be the case in Hollywood, a place where abusive men always seem to be able to find work. According to Forbes, the domestic abuse accusations did not affect his earnings in the scoring period they used. And Depp isn’t exactly scrambling for roles: He was just cast as the main villain in the gargantuan Fantastic Beasts franchise. ensuring that he will continue to be grossly overpaid for many years to come. In the Forbes list, he’s followed by Will Smith, who returned just $5 for every $1 he earned from his movies this year. (Concussion barely met its $34 million production costs.) Channing Tatum came in third with a return of $6 for every $1 paid, even though Magic Mike XXL was a box-office success. He was brought down by Jupiter Ascending, which only earned $8 million more than its $176 million production budget. Will Ferrell and George Clooney round out the top five, and Julia Roberts is the only woman to make the top 10, which probably says something about both Hollywood’s wage gap and the fact that big-budget movies tend to be built around leading men.